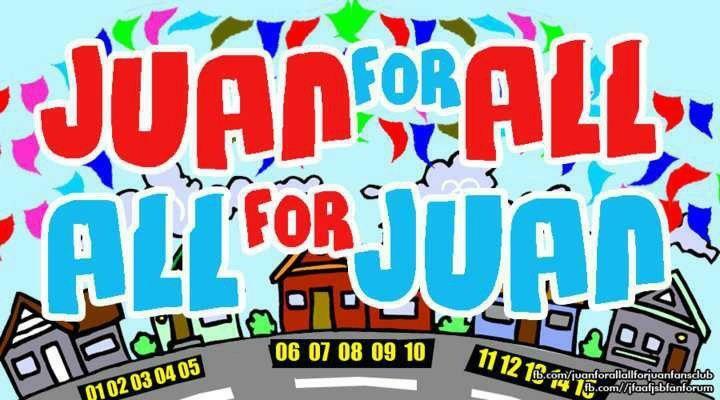 Eat Bulaga Juan for All All for Juan Bayanihan of d’ Pipol was here at Villasis, Pangasinan earlier today. Everyone in this fast developing town had been clamoring for it since early this week. Finally, they came after the delay last Tuesday. Unfortunately, I wasn’t there. I’m sorry for myself that I wasn’t able to even take neither pictures nor videos of the event to post over YouTube. It was also too late when I realized that this Nokia 808 Pureview can actually capture very crystal clear and crisp photos of the T.V. It looks as if it’s a live picture and the T.V. screen is not evident. Too bad, the show is almost over before I discovered that. But I thought there’s no point anymore because the Sugod Bahay sa Barangay with the Sugod Bahay Gang Paolo Ballesteros, Wally Bayola, and Jose Manalo segment is already done. But if there’s anyone reading this who may let me borrow a photo or video of the event to post here, please contact me. I’d definitely appreciate it. For the meantime, let me just use the banner circulating all over Facebook below. I at least got to watch Juan for All All for Juan over T.V. Forgive me because it was too hot outside and I also have tons of work to complete so I didn’t go out. I don’t have anything to show in this post other than my enthusiasm. Would that work? J Maybe not. Congratulations to the lucky husband and wife tandem at San Hilario Street, barangay Puelay for winning though. Names are withheld for anonymity purposes and for the couple’s protection but as a clue, they do own a karinderya. Kidding, everyone knows them by now. Congratulations to the winners of the Bayanihan of d’ Pipol segment via sponsoring brand Yakult as well. Kudos to fellow townsmen who followed the file properly! But I was wondering why people always thank bossing Vic Sotto automatically during the Juan for All All for Juan segment. Then it’s followed by expressing gratitude for Eat Bulaga as a whole. It’s always like that, everyday. It happens even if Vic Sotto is not around, like in today’s episode. Only Allan K, Tito Sen, and Joey de Leon were on the studio with the rest of the Eat Bulaga gang. Sen. Tito Sotto by the way is very much in a controversial light these days over the RH bill speech supposedly copied from a blogger’s site and then the Robert Kennedy speech translated to Filipino. There was also no Pambato ng Videoke or PNV segment where 2 locals battle it out in a videoke duel at the opening of Eat Bulaga daily. This was to give way to the presentation of the second half of grand finalists for tomorrow’s Mister Pogi 2012. Nonetheless, it was an amazing, crowd-filled Eat Bulaga Juan for All All for Juan Bayanihan of d’ Pipol here in Villasis, Pangasinan!